You are getting a page update today at the same time, with this newsletter for the first time. The Sales are finally over! I will do another Madness Sales next year. The prices are back to normal state now and we'll have to wait for next year to come. We are halfway through The Phillips Brothers. Once the story is finish, we can go back to Sleepy Hollow's main story. But, I'll release the cover & title on the last week of the short story and I'll be taking some time off, then. Once the Short Story is finish, we can start Issue 9 next. Issue 9 will be more tense than any other Issues I've done before. I'll tell you more in April's newsletter. I'm doing the Free Comic Book Day on May 2nd. Volumes 1 & 2 will be free for only on that day, just that day only, so this will be the only chance to get them for free. And the seasonal comics will be free, too. The page buffer for: Sleepy Hollow. . . The page buffer for: The Sin City Girls. . . Yes, I'm even flying through my buffer and with the five day updates, for Sleepy Hollow, but it's still too big! I know that I wanted to start Act IV so bad, but I've already got the scripts finish, for the new project. You guys remember Howe Falls In Love Seasonal Comic from last year. Well, I have been working on the scripts for the mini series, so we will follow up on William's early life and his family. And he get's to marry Frances after all. I really really want to do this mini series so bad but I'll have to wait til Act III is over with. And then, I'll start updating this mini series after words. Well, that's all I have for you, guys! Today is the last day for the Sales! The Sales are ending tomorrow, so better hurry before it's too late! . . .
We are still updating five times, for two more months. Then, Sleepy Hollow goes back to Mondays, Wednesdays, and Fridays. And also, today is my 24th Birthday, by the way! Volume 2 does contains Issues 4 through 7, plus two seasonal comics, that we did last year. And some more fan arts included. I found this great post I found on Twitter. It would also help many script writers, such as me, to see a protagonist being the antagonist of the story. I might be seeing that in General William Howe, during Book Two, when he orders Nathan Hale to be hanged. Which to me, seems like what an antagonist would do, but he still be focusing on the main goal, on stopping the Headless Horseman. But mostly, Howe always and be the protagonist through out the entire Series of Sleepy Hollow Webcomic. The plots are already been planed out for the rest of this Series and Evil Howe is the very main antagonist through out the story. I just haven't started the scripts on Book Three, yet, but that is being on hold for awhile, even though that, we are only in ACT II of Book One still. As of right now, I'm typing down the script for The Sin City Girls Volume 2. I'm even very close to the end of Volume 2's scripts, with only the seasonal special left, and then, I will be moving right onto Volume 3's scripts soon. And also, I will start typing down Sleepy Hollow's scripts, while writing down Volume 3's scripts. 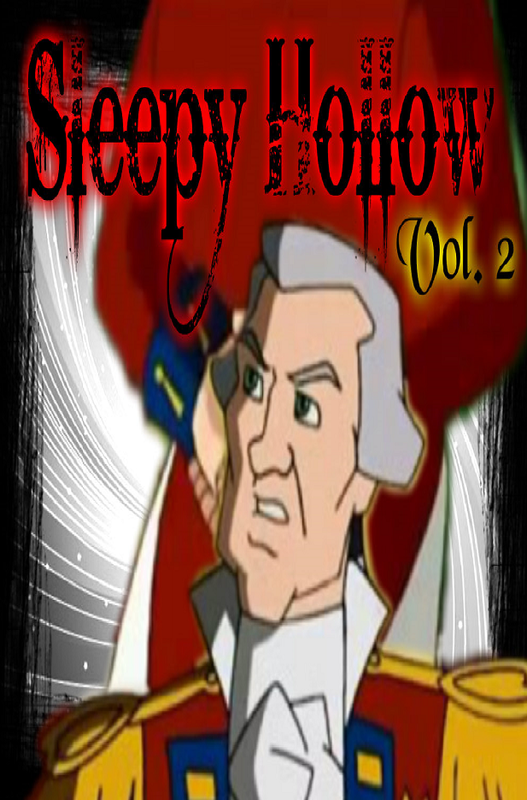 Volume 2 of Sleepy Hollow's will be release this Friday, guys! I know it's little too early to release it and I'm probably am going to be offline on Tuesday, if I've haven't made the switch. Hopefully, that I hope to have Internet by then. Volume 2 of Sleepy Hollow will be available to buy online, this Friday, if I have Internet by then. If not, I'm probably am have to delay it again and I know I would hate to do it again. Plots are done and read to go! Chapter 1 of TSCG will be release on Tuesday, sot it will be available in the STORE tab, on here, to but as a PDF format. It is getting real close for Volume 2 of Sleepy Hollow to be released, which is the 20th of this month. There is a Q&A this upcoming Friday. I will post the plots for Issue 8 very soon, before Friday. I figured that Issue 8 is done and out of the way, I thought this would be the great timing, to share the plots, like I always do with the past Issues/Seasonal Comics. The Sin City Girls Chapter 1 will be release next Tuesday, along with Sleepy Hollow's Volume 1 will be release next Friday.